Container gardens are a wonderful way to enjoy seasonal colors. And while mums and asters are the traditional favorites of autumn, there are plenty of other options that will look spectacular in your container and could last well beyond the first frost. So choose your containers, buy some high-quality potting soil, gather a few gardening tools, and bring your watering can. You're all set to start adding fall colors to your front porch, deck, or even your beds. Ornamental grasses add height, texture, and color to your fall containers. You can plant them in clusters, singly, or with other fall plants. And many of them will continue to look good throughout the winter. Coral bells come in an assortment of colors and leaf textures. They blend well with gourds, mums, and ornamental grasses and are hardy in some of the coldest temperatures. Pair them with a pumpkin planter for a terrific fall look. Cabbages add beautiful fall colors and textures to mixed container gardens. And these colors will intensify as the weather gets colder. Flowering cabbages are especially attractive when they are grouped together in rustic garden planters or low baskets. Sedum looks best during the fall season, which makes it a perfect plant for your containers. It blooms in late summer and early fall, and it prefers full sun and good drainage. You can leave it outside all winter since the dried flowers look outstanding in snow or frost, and the plant itself is hardy to -40 degrees F! Oxalis is easy to grow and likes to be in partial to full shade. It’s a mounding plant that grows 12” to 18” tall, which makes it ideal for filling out a container. The dark colors of the plant—burgundy to almost black—make it a favorite of fall gardeners. Oxalis is hardy to 15 degrees F.
Verbena is a prolific bloomer well into fall. They work well in planters, hanging baskets, and window boxes. Hardy down to 15 degrees F, they will keep flowering after the first frost. Verbenas come in a variety of colors that include reds, dark blues, purples, and pinks. Coleus is a fall container favorite with its red, burgundy and green variegated leaves. 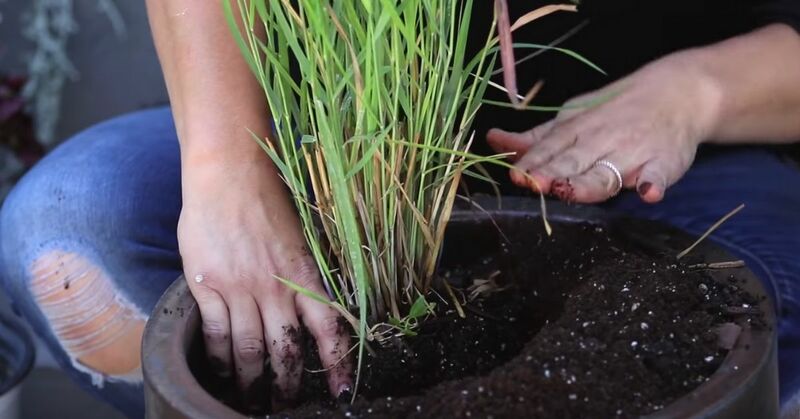 Start out with a good quality potting soil. Place your container where the plant gets lots of sunlight, and make sure it has well-drained soil. You'll need to feed it every couple of weeks. Calibrachoa is a popular container plant that looks fantastic in hanging baskets, bowls or mixed containers. They come in an array of colors from magenta to white and everything in between. This classic spiller plant will bloom well into fall if you give it enough sun, water, and food.